One of the gifts of following Jesus is seeing how the small, almost thoughtless things we do actually fit into the overarching larger story of God’s love and amazing provision. Here is an excerpt from an email I received shortly after returning home to North America. The beginning of ‘this next chapter’ was wonderful. The farewell events marking the end of our time in Ethiopia also celebrated many new beginnings in ministry, especially in Ethiopia. At our farewell at St Matthew’s Church, Addis Ababa, three new deacons were ordained: one works with our Somali congregation in Addis Ababa, one has started a new Amharic congregation, and one ministers to M*B* believers. 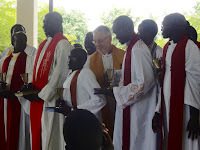 Our official farewell at the Area Assembly held in Gambella also celebrated the ordination of five priests; one Anuak and four Nuer; all godly men, well grounded in biblical training; all committed to building up the local church in their regions. I was so thankful, it was hard not to weep as the Mothers’ Union gave their report at Area Assembly this past October. Let me share with you some of their words. Many children are dying below five age. 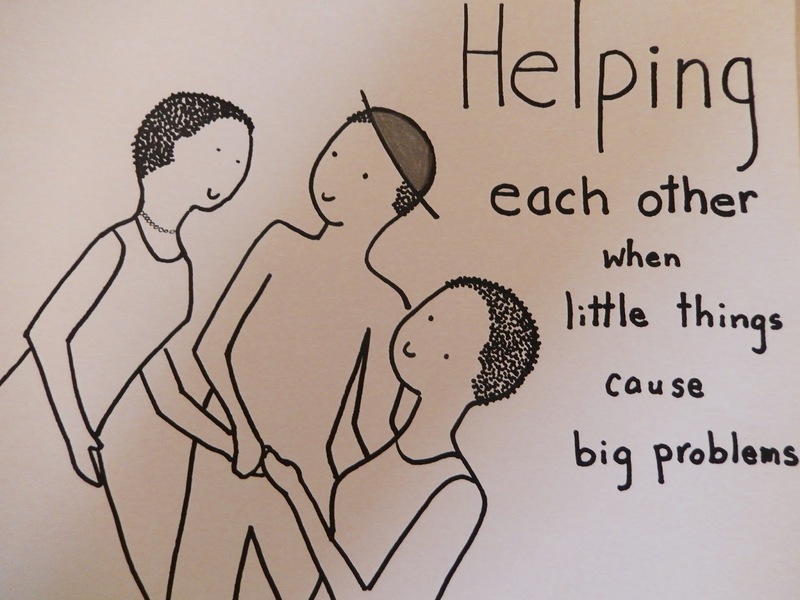 People, they know the problem is there - especially diarrhea - many children are dying in the Gambella region. Now the teaching was very, very interesting for anyone. They love it too much. Because it address the problem. The need of the Gambella community. They know that this dysentery has come because of the lack of clean water. And they understand it. Because people understand the benefit, we plan always Saturday. Saturday in the afternoon always in Gambella town here, we are taking from village to village this program. And people are giving two birr each woman for coffee and tea. [In their congregation each woman contributes 2 birr (less than one cent) to buy coffee and tea to serve to those who come to the teachings]. 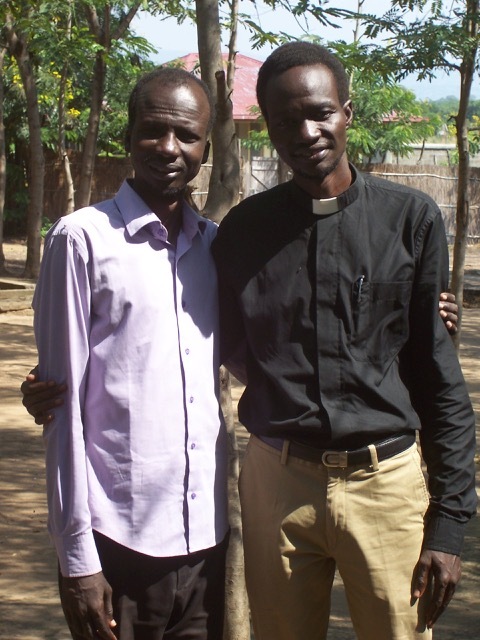 Now we are receiving very good report from any village here in Gambella where we give the teaching. Even [while the teaching] is still going on in many village, [we are asked], “Why don’t you come and give the teaching again?” And also they are very happy because their children are not getting sick with children disease. [An] other story [we taught] is about the Wise Woman - that woman who fed her children. Obviously any woman, they know that the food available in Gambella is only one type of food. [[Now we know that] to give them different type[s] of food is very important. The children will be strong. Even the family will be strong. 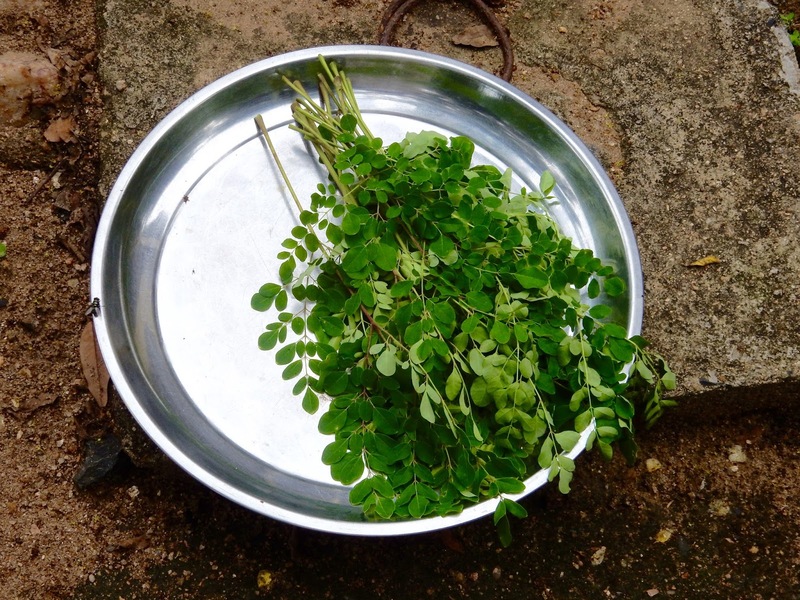 [And] many people are interested about the help of the Moringa - Moringa tree. It is now obvious people are using it because they know the benefit. 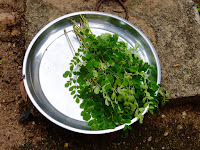 Any person now has Moringa in his home. This [amazing source of nutrition] helps [to fight off and to recover from] every disease. It is a very great joy because I [Achua] have journey to Dimma and different places for this work. [Also] I met with many sisters and brothers here because of the program. The sisters came from different place. We met here together. We know each other now. And it increase the number of women in the church because it [is] going on with a scripture - Bible reading - a story and [with] prayer. And taught women also how to pray for the sickness. So now women are praying for themselves about different diseases and other [things]. So now we become useful even in the community. 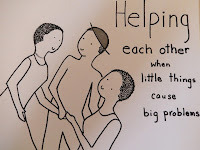 When there are problem, people, they call us, and they call us asking us to show them how they could help their children. They are very happy with this program. And it is very interesting and very good approach - easy to understand for anyone. This year in 2017 the program is handed to African - especially Achua and Rebecca. We took the program. This health teaching help people a lot in the region. Now children are health. Family are health. I give thanks to Mama Wendy because she really brought us the first seed. [She] opened the minds of the Mothers’ Union [to] make them aware about all these - where the sickness are from and how they can save their children. So now many children will become alive because of what we have learned. Those [teachings] will be help for us and they will help our children and even to our grandchildren. We [will] keep passing on the knowledge to the generation[s]. 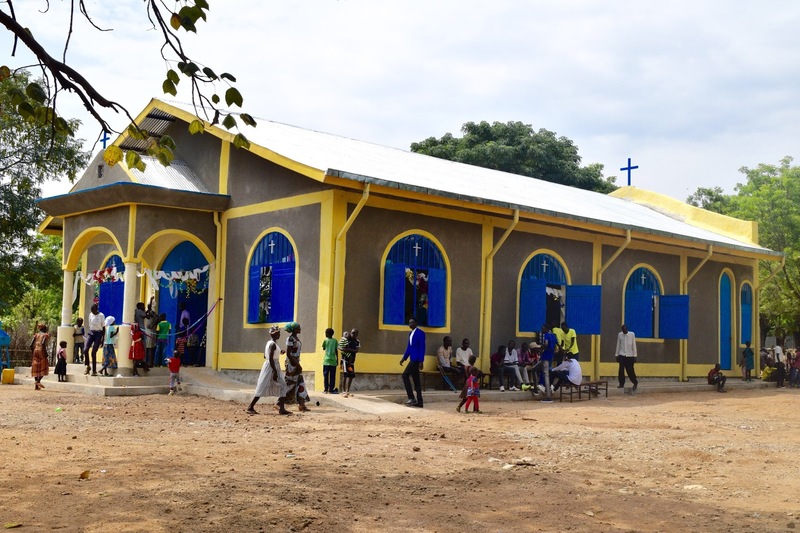 Our farewell also marked a new beginning in Newlands, a section of Gambella town, where our ‘good-bye’ was combined with the dedication of St Luke’s new church building. Six hundred (not including children, goats, chickens or dogs) gathered in the spacious, light-filled, beautiful brick building. (Actually, the goats were outside - they were much more interested in eating the surrounding shrubs). 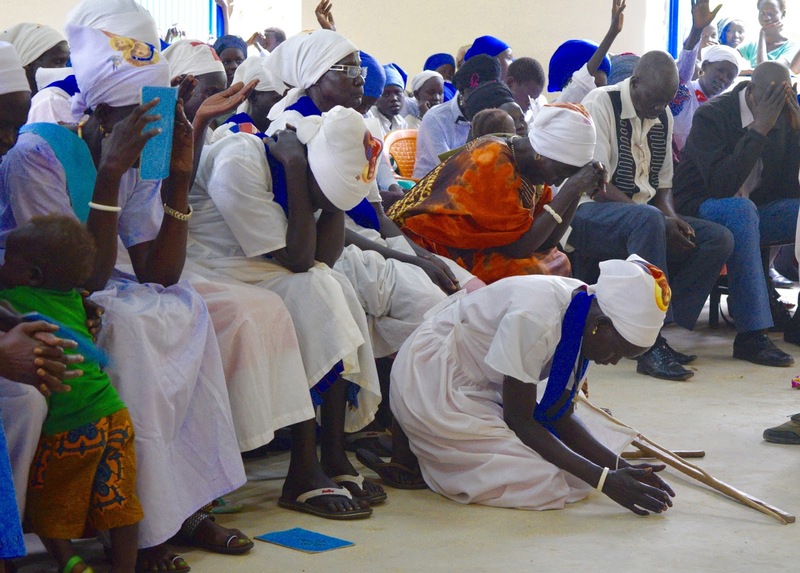 It was a joy to see this Nuer congregation welcome Anuak and Opo presentations during their dedication service. 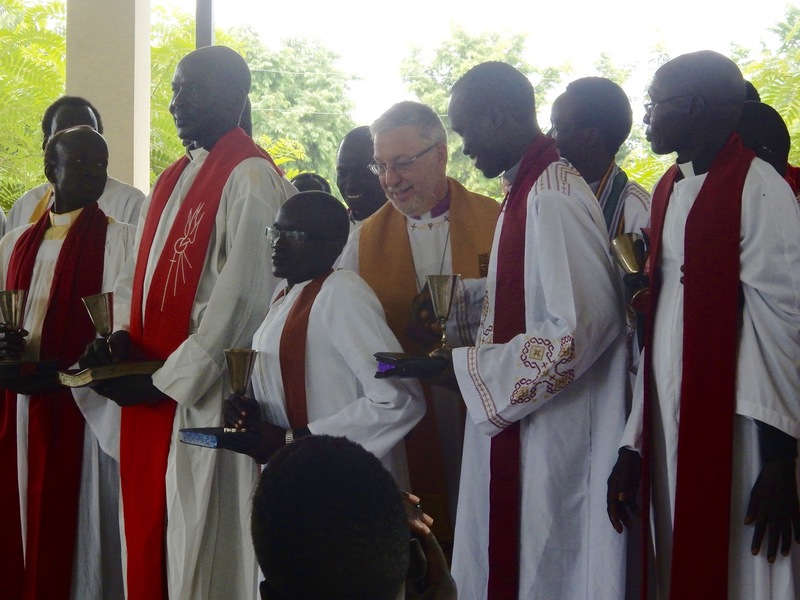 Our Anuak and our Nuer Youth Co-ordinators jointly presented our farewell gifts. 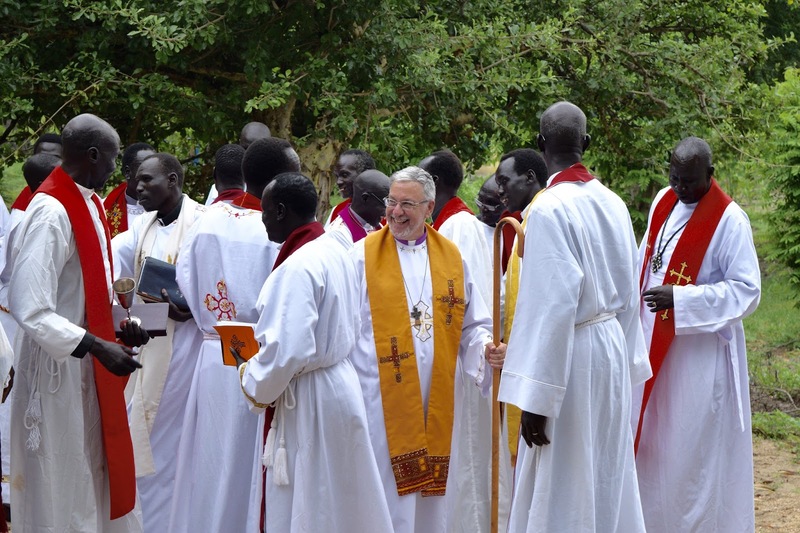 The Gambella Anglican Centre community has also seen new beginnings. A dear friend and a gifted teacher, Moses Hoth, a Nuer gentleman well known for his integrity, has joined Chris Wilson and Jeremiah Maet Paul on the faculty of St Frumentius’. Wycliffe Bible translator Josh Smoulders and his family have joined the “GAC” community. Josh has formed and is now leading a Opo Bible translation team to be based at the Centre. We are so grateful to those who have partnered with us in mission. Thank you to those who gave of their time (in visiting teams) and to those who gave of their resources; helping to build new buildings for our now over 145 churches; helping in the construction and/or renovation of buildings at the Gambella Anglican Centre and St Frumentius’ Anglican Theological College; and in the construction of the new ‘Nehemiah’ wall designed both with protection and with vertical gardening in mind. Most especially we thank you for the outpouring of prayer and of love for us and for the people of the Horn of Africa. Although the health problems Wendy developed while in Gambella remain both serious and intractable, we remain filled with gratitude at having had the privilege of sharing with Jesus, His love for the people of the Horn of Africa, and especially for those in the Gambella and Asosa regions. It is a joy to care for one another and to see each other in the Light of His love - the One who made us, and in Whom all things are made new. Isn’t it amazing to discover that we all are family?